A talented friend of mine worked for a while in a software company. She liked the people she worked with and the pay was good. But the work was draining and not creative. Each time she had a bad day, she bought herself a bottle of nail polish as a treat. One day, she opened her refrigerator and found the door full of small bottles of nail polish. She knew it was time to find a different career. What are the signs that your work is stimulating and fulfilling – or not? 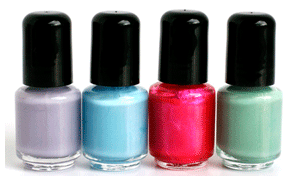 The new year is a perfect time to examine your own stockpiles of nail polish. Do you come home from work exhausted, not interested in doing things that used to be fun? Are you short-tempered with employees, friends or family? Do you find yourself spending time on short-lived escapes – computer games, unhealthy snack foods, or surfing the internet? What if you did nothing about this? What will your life look like at the end of 2016? What will it cost you to continue this way? Instead, imagine a life that would thrill you – one in which you were excited to get out of bed each morning because you got to spend the day living your life. A life filled with interesting conversations, meaningful work, and time spent in activities and places that filled your soul. Take a moment and really imagine – would that be like? So here’s my request – schedule some time to be alone, perhaps in a beautiful place where you can listen to your heart and hear what it wants you to know. Where do you want to spend more of your time? Who do you want to spend more of it with? What type of interactions would inspire you? What do you want to accomplish with your work? Allow your mind to create a vision of what this life would look like. And then, write down three steps you could take right away to mold your life to look more like this vision. Commit to doing one thing this week, one next week, and one the following week. And see where this new direction takes you. You have accomplished many things in your life. You can do this, too. What more important commitment can we make than honoring the life we’ve been given? This entry was posted in physician burnout, physician coach, physician coaching and tagged medical career, Physician fulfillment, Physician work life balance, success. Bookmark the permalink.